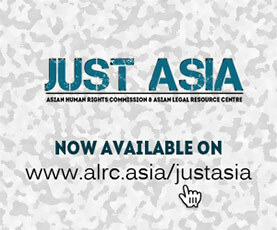 The Asian Human Rights Commission (AHRC) has received information that two anti-corruption activists have been accused of defamation by the Attorney General’s Office (AGO), after their group publicly pointed out a multi-trillion rupiah gap in the AGOs annual budget and called for an investigation. The case raises questions about the use of the defamation law to stop the public’s criticism of institutions and prompting of reforms. Since the suspect data was taken from the State Audit Board report, the responsibility for bringing the information to light belonged to that institution, however it failed to do its job. Governmental support and protection must be given those willing to expose corruption. In January this year Indonesian Corruption Watch (ICW) held a press conference to present its analysis of the State Audit Board (BPK) report from 2004-2008, and to highlight a gap of approximately IDR (rupiah) 7 trillion that was found in the office of the Attorney General. The next day the head of the AGO’s central information department announced at a press conference that they would file a case of criminal defamation against Mr. Emerson Yuntho and Ms. Illian Deta Arta Sari (both pictured) from the ICW, because of the article in the Rakyat Merdeka. Seven AG representatives submitted the complaint on 7 January. The ICW had met with the AGO before holding the press conference to discuss the findings. On 12 December several activists (Mr. Emerson Yuntho, Mr. Adnan Topan Husodo and Mr. Febri Diansyah) had met with the Junior Attorney General for special crimes, Mr. Marwan Effendi. They reportedly discussed earlier claims that the AG had made in the press, notably, that his office had saved IDR 8 trillion (USD 830 million) of its budget, which would be refunded into the state treasury. Yet based on ICW analysis of BPK data, the state treasury received just IRD 382 billion, leaving IRD 7.72 trillion. Article 311 Paragraph 1: Any persons who commit the crimes of slander or libel in case proof of the truth of the charge fact is permitted, shall if he does not produce said proof and the charge has been made against his better judgment, being guilty of calumny be punished by a maximum imprisonment of four years. Article 316 (Criminal defamation against government officials): The punishment laid down in the foregoing articles of the chapter maybe enhanced with one third, if the defamation is committed against an official during or on the subject of the legal exercise of his office. Human rights activists in Indonesia are already campaigning to protest the criminal proceedings against two members of the Corruption Eradication Commission (KPK), and the lack of respect given to the national commission by Indonesian police and the government of President Yudhoyono. Chandra Hamzah and Bibit Samad Riyanto were accused with the abuse of power after the commission started investigating corruption among high ranking members of the Indonesian National Police. In three other recent cases reported by the AHRC human rights defenders and activists have been charged with crimes for their advocacy work. These include the Coordinator of the Commission for the Disappeared and Victims of Violence, Usman Hamid, who was accused of criminal defamation for seeking to investigate Munirs murder (see UAC-118-2009), eight activists in Aceh, who were charged with inciting hatred against the government because they were giving out pamphlets (see: UAC-197-2008), and another Aceh activist charged with treason for organising a peaceful demonstration (UAC-262-2008). Articles 311 and 316 are frequently used by the Indonesian government against civilians, particularly human rights defenders who challenge government policies that conflict with human rights norms and democratic principles. The defamation article in the Indonesian Penal Code is a colonial legacy, and the governments reluctance to revise it has allowed its continued abuse by officials to restrict freedom of expression and silence reformers and activists. As a member of the United Nations (UN) and a democratic state, Indonesia must respect and adopt international human rights principles such as the freedom of expression (art. 19 of the Universal Declaration of Human Rights and article 18, of the International Covenant on Civil and Political Rights  ICCPR) into their domestic legal framework. Furthermore, as a state party of the International Covenant on Civil and Political Rights the government is obliged to fulfil article 16 (equality of law), and article 15 (presumption of innocence). Witnesses, Victims, and the complainant can not be legally prosecuted by criminal law and civil law on the report, testimony that will, being, or has been given. The Asian Human Rights Commission would also question the triumph of the Attorney General in saving such a large amount of money, when that money was allotted to be fully utilised for the good of the country. Were the office widely considered to be doing a good job there would certainly be an element of pride in the savings, however the inaction of the Attorney General’s office in cases of gross human rights violations, and the immunity enjoyed by many officials based on its insufficient work would suggest that the money is needed. (See a recent open letter OLT-030-2009 for more information on the failure of the AGO). If the Attorney General’s office is not lacking in resources, the AHRC would like to question why it is not doing a better job. Please write a letter to the following authorities calling for their immediate intervention into the allegations against Mr. Emerson Yuntho and Ms. Illian Deta Arta Sari, and supporting their calls for investigations into corruption at the office of the Attorney General. Please also call for a review of the defamation law by the Indonesian government and for the protection of human rights defenders in Indonesia. requesting their intervention in this case. I’m writing to express my deep concern at the accusation of criminal defamation against two anti corruption activists from the Indonesian Corruption Watch (ICW), Mr. Emerson Yuntho and Ms. Ilian Deta Artha Sari. I understand that in January this year Indonesian Corruption Watch (ICW) held a press conference to present its analysis of the State Audit Board (BPK) report from 2004-2008, and to highlight a gap of approximately IDR (rupiah) 7 trillion in the Attorney General’s office budget report. The conference was called, ‘Reflections of the Court and the Supreme Court and projection of the corruption eradication in 2009’ and on 5 January the data was published widely in national media. The next day the head of the AGO’s central information department announced at a press conference that they would file a case of criminal defamation against Mr. Emerson Yuntho and Ms. Illian Deta Arta Sari from the ICW, because of an article in the Rakyat Merdeka. Seven AG representatives submitted the complaint on 7 January. I have been told that the ICW had met with the AGO before holding the press conference to discuss the findings. On 12 December several activists (Mr. Emerson Yuntho, Mr. Adnan Topan Husodo and Mr. Febri Diansyah) had met with the Junior Attorney General for special crimes, Mr. Marwan Effendi. To discuss earlier claims that the AG had made in the press, notably, that his office had saved IDR 8 trillion (USD 830 million) of its budget, to be refunded into the state treasury. Based on ICW analysis of BPK data, the state treasury received just IRD 382 billion, leaving IRD 7.72 trillion. However although Mr. Effendi claimed, surprisingly, that the state BPK data was wrong, and told the NGO that certain amounts had been set aside for use by the AGO, ICW staff found that his office’s report  only given to them at the end of the meeting  still left money unaccounted for, and held the press conference. 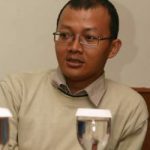 Emerson Yuntho and Illian Deta Arta Sari received summons letters naming them defendants in the criminal defamation case on 7 January, under articles 311 and 316 of the Indonesian Penal Code. The case raises questions about the use of the defamation law to stop public criticism of institutions, with the aim of prompting reforms. Since the suspect data was taken from the State Audit Board report, the responsibility for bringing the information to light belonged to that institution, however it failed to do its job. Governmental support and protection must be given those willing to expose corruption. I understand that this is not an isolated incident in Indonesia. Previously, three other recent cases reported by the Asian Human Rights Commission include the Coordinator of the Commission for Disappeared of Victims of Violence, Usman Hamid being accused of criminal defamation for seeking to investigate Munirs murder and eight activists in Aceh being charged with inciting hatred against the government because they were giving out pamphlets. Another was charged with treason for organising a peaceful demonstration. As a State Party to the International Covenant on Civil and Political Rights the government of Indonesia is obliged to respect the freedom of expression and opinion of its citizens, and to make additional efforts to protect the rights of those who fight for justice. I urge that the government immediately intervene to ensure that a prompt and impartial investigation is made into the accusations made against Mr. Emerson Yuntho and Ms. Illian Deta Arta Sari and to guarantee that they will not be charged for simply speaking the truth. I also urge the government to start a thorough review of the defamation law to prevent further abuse by irresponsible officials. I would also question the triumph of the Attorney General’s Office in saving such a large amount of money, considering the size of the problems that still face it, and the improvements that need to be made in its operation, whether regarding court delays, past cases of disappearances or allegations of police abuse and corruption. And last, I call for the Indonesian government to conduct a thorough investigation into the alleged missing funds at the Attorney General’s Office.